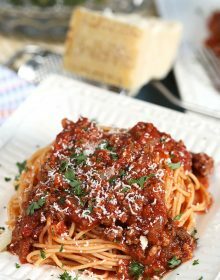 Ready in just 30 minutes, this Easy Italian Meat Sauce recipe is quick and simple for busy weeknight dinners. Slow simmered taste in less than an hour, you’ll be skipping the take out from now on. 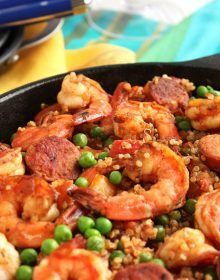 This one is a huge hit with the entire family! It’s really weird to admit, but I ordered take out a lot less when I worked outside the home. 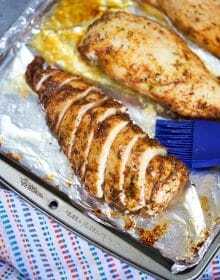 It seemed like I always had a better plan for dinner, and after a long commute, the last thing I wanted to do was get back in the car to pick up dinner. Dinner that someone else had made. Well, life has been busy and sometimes I make a lot of desserts for the blog. That was never my intention and I kinda of lost my way when it came to dinner. 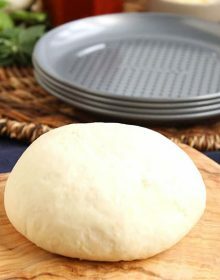 Pizza has been showing up routinely, as well as, soggy pasta dishes and overcooked chicken sandwiches. 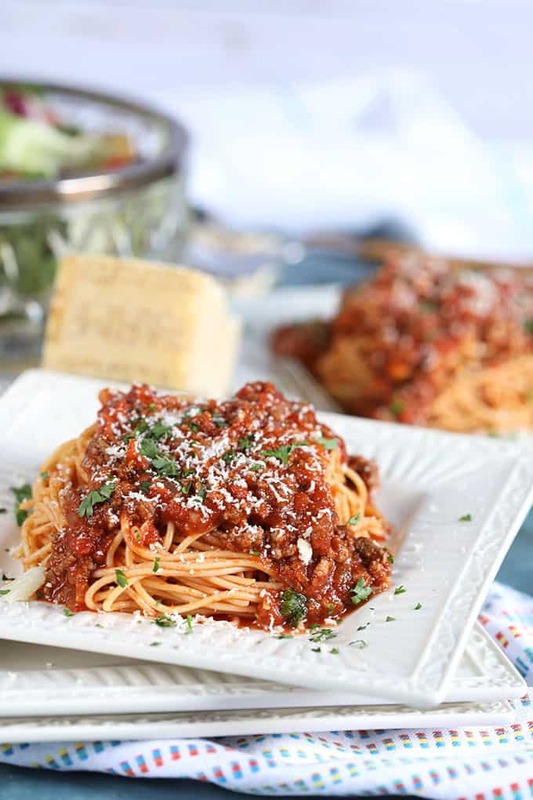 I’m over it….and so I pulled out a few of my old favorites to share with all of you because there’s nothing like a home cooked meal….especially when it’s ready in just 30 minutes like this Easy Italian Meat Sauce Recipe. 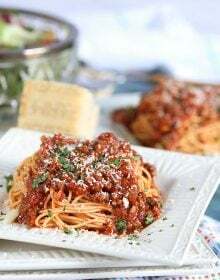 There’s really nothing better than a homemade spaghetti and meat sauce dinner. 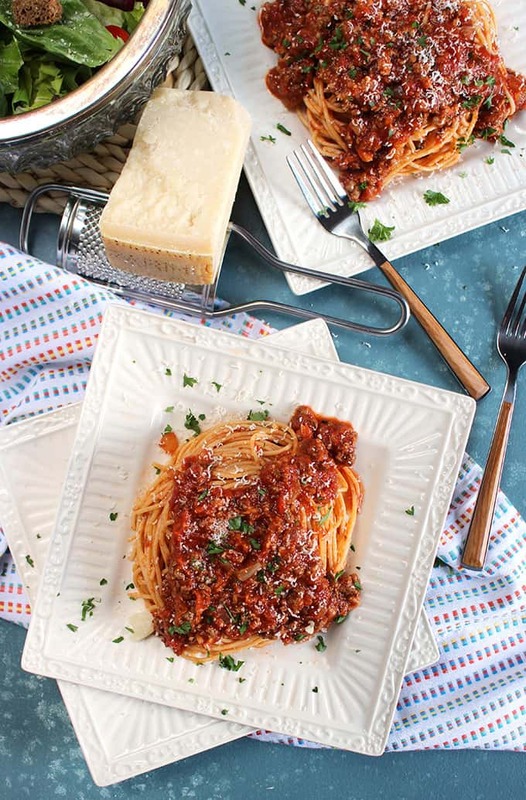 It’s pure comfort food and my family is totally in love with this Easy Bolognese Sauce I made years ago…the problem is it’s not quick, it takes time…it’s a labor of love. But it’s worth every second that it stews low and slow, plus it makes a ton so you can freeze it. But for those days when you have a craving and your freezer stash has been blown, this is the next best thing. This simple meat sauce recipe takes just minutes of hands on time, then simmers for a few minutes before you can begin to dig in. The secret to this meat sauce recipes slow simmered flavor is in the technique. 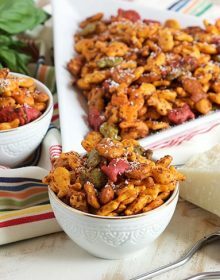 Tomato paste, wine (you can omit if you prefer), Worcestershire sauce, garlic, onion, Italian seasoning….all my favorite things in one pot. I added a couple sausage links because I love their sweet/salty flavor they bring to the sauce. It’s definitely one ingredient I advise against skipping. 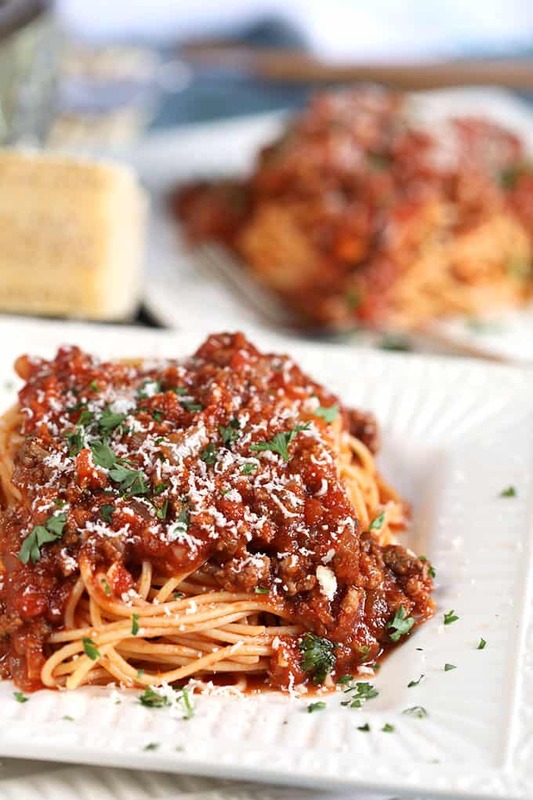 I have to say….this Easy Italian Meat Sauce recipe is by far even better than the Olive Garden Traditional Meat Sauce recipe I’ve ordered time and time again. And you don’t have to order take out or even leave your house to get a big bowl full of it. 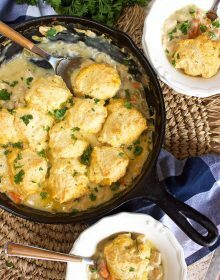 It’s the most amazing comfort food and your family will devour it. Just like mine does. 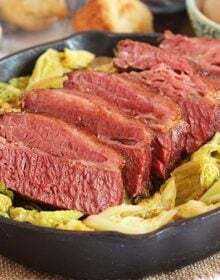 Did you ever thing you’d be able to have a Sunday dinner on the table during the week made completely from scratch without even breaking a sweat? 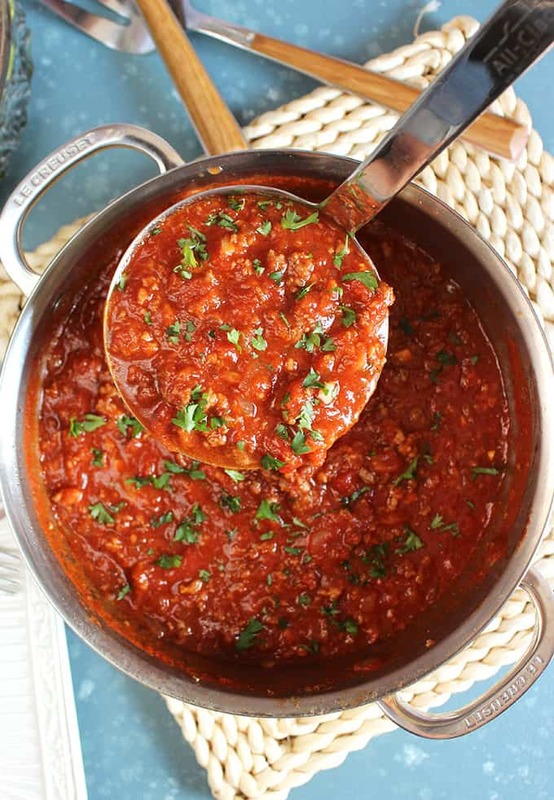 Oh, and if you’re not eating carbs right now because….summer….you can do what I did and have this amazing tomato meat sauce over a pile of zucchini noodles. It’s soooooo good…it totally takes the suckiness out of zucchini noodles. Because I’m not a big “zoodle” fan. I shared my zoodle adventurer on Instagram the other day…you should totally follow along for all my behind the scenes antics. If you’re looking for a few more quick and easy dinners for your busy weeknights I definitely recommend trying these Chicken Marsala Meatballs. They’re really easy…and super quick. 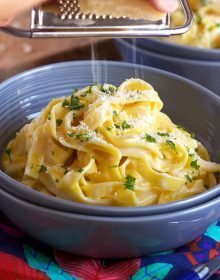 Just like this lightening fast Fettuccine Alfredo recipe! 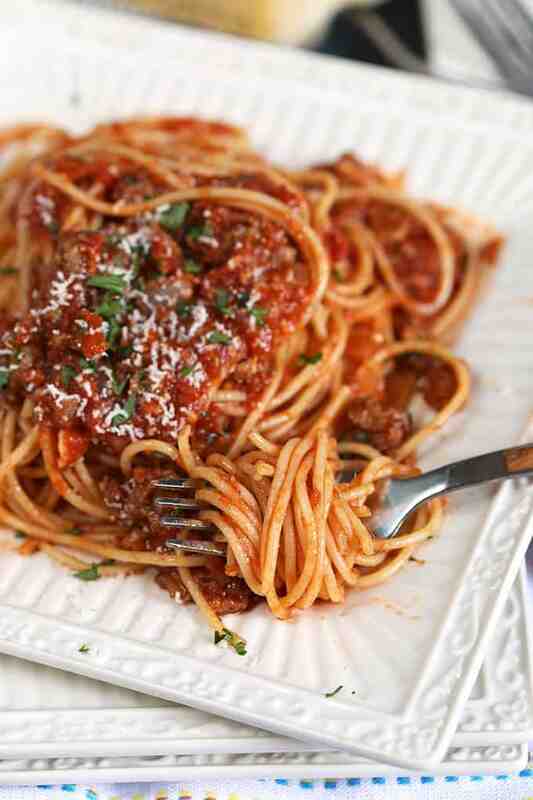 Quick and simple, Easy Italian Meat Sauce recipe has slow simmered taste on a weeknight! Heat the olive oil in a large saucepan over medium-high heat. Add the ground beef to the pot and break up into small pieces with a fork. Brown the beef until no longer pink, approximately 5-10 minutes. Transfer to a bowl and keep warm. Add the sausage to the pot and break up with a fork. Cook the sausage until no longer pink and cooked through, approximately 4-5 minutes. Transfer to the bowl with the ground beef. Add the onion to the pot and cook until softened, about 3-4 minutes. Stir in the garlic and cook for 1 minute. 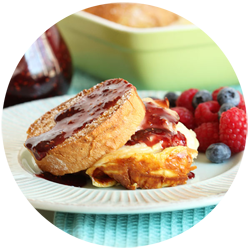 Stir in the tomato paste and cook until a deep Burgundy color, stirring to avoid burning. Add the Italian Seasoning, onion powder and white wine to deglaze the pan. Using a wooden spoon, scrape up the brown bits on the bottom of the pot. Cook until the wine has reduced by half. Stir in the crushed tomatoes, tomato sauce, Worcestershire sauce and sugar. Bring the sauce to a boil. Return the beef and sausage back to the sauce. Season to taste with salt and pepper. Sauce can be made up to 3 days in advance as part of your weekly meal prep. Store in the refrigerator in an airtight container. The meat sauce can also be frozen in an airtight container for up to 2 months. This sounds so good! In your directions, I don’t see where to add the can of tomatoes, and also if they need to be drained – help please! I would love to know when to add the canned tomatoes, and also whether to drain them or not – thanks! That WOULD be helpful, right? 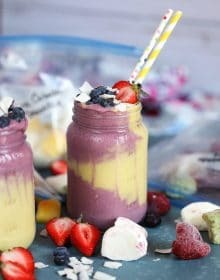 Do not drain and I updated the recipe. 🙂 thank you for pointing that out.